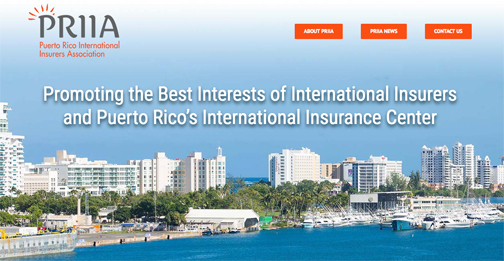 PRIIA is the industry trade group representing insurance carriers, service providers and other participants in Puerto Rico's International Insurance Center. PRIIA is the industry trade group representing insurance carriers, service providers and other participants in Puerto Rico’s International Insurance Center. The Puerto Rico International Insurers Association (PRIIA) issued a statement Thursday saying it operates under laws and regulations that insulate its member companies and their clients from any changes to Puerto Rico that Title III bankruptcy may bring about. Last week, the government of Puerto Rico filed in the United States District Court for the District of Puerto Rico a voluntary bankruptcy petition under Title III of the Puerto Rico Oversight, Management and Economic Stability Act (PROMESA). Enacted by the U.S. Congress and signed into law by President Obama in 2016, PROMESA provides the legal framework for local Puerto Rico government entities to restructure debt obligations. “Regulation of companies operating in the Center is provided by the Office of the Commissioner of Insurance of Puerto Rico, which receives funding from fees paid by its regulated entities,” the institution said in the statement. “There is no change to the tax, regulatory, or other legal status of any licensed insurer operating in the Center as a result of the Title III filing. Puerto Rico’s international insurers are open for business,” the statement further added. “PROMESA recognizes the importance of growth engines, such as the International Insurance Center, and the law expressly preserves and continues the benefits our clients and companies enjoy today,” Keenan said. :Insurance companies operating within the International Insurance Center receive contractual tax incentive grants that guarantee favorable taxation for at least 15 years. PRIIA member companies and potential new entrants to the Center can have confidence in the continuity of Puerto Rico’s tax treatment provisions under both Puerto Rico and United States law,” Rexach said. PRIIA is the industry trade group representing insurance carriers, service providers and other participants in Puerto Rico’s International Insurance Center. Founding members of PRIIA include Advantage Insurance Inc.; Madison Re I.I. ; Ryan, LLC; and U.S. Commonwealth Life, A.I. Hey Buddy!, I found this information for you: "P.R. Int’l Insurance Center shielded from restructuring". Here is the website link: https://newsismybusiness.com/insurance-shielded-restructuring/. Thank you.